The Scentsy Diffuser has 16 LED Light options and is our most personal fragrance experience yet. Simply add water and your favorite Scentsy Oil to the reservoir, choose your light and mist option and enjoy. The Scentsy Diffuser releases your perfect fragrance, carried in a microscopic mist, for an exclusively natural, full-bodied, immediate experience. The Scentsy Diffuser is made to precisely match your personal fragrance preferences. 1) Add clean, cold tap water to the reservoir fill line (about 120 mL). 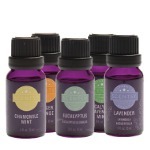 2) Add your choice of 29 essential and 100% natural Scentsy Oils. We recommend starting with 4-5 drops of oil and adding more or less to suit your personal preferences and the size of your space. 3) Choose your light setting. Press the light button once for high, twice for low, three times for candle effect and four times to turn it off. For color modes, press the light button for 1.5 seconds from the off position to cycle through all 12 colors. Press the light button again to advance to the next color or set the diffuser to a specific color. 4) Choose your diffuser mode. Press the droplet button once for high (4 hours), twice for low (8 hours), and three times to turn it off. Hold the droplet button for 1.5 seconds from the off position for intermittent mode. 5) Enjoy beautiful Scentsy fragrance for up to eight hours. *Cold-mist technology allows you to enjoy Scentsy fragrance instantly without waiting, and without heat. Scentsy Diffuser and Scentsy Essential Oils are the best in the world for fragrance and will pair perfectly with your new Scentsy Diffuser. Currently we offer 29 essential and 100% natural oils. Can I use other brands of essential oils in my Scentsy Diffuser? YES! Though Scentsy Essential Oils have been specifically formulated for an optimal fragrance experience, using other companies’ oils will not harm the Scentsy Diffuser or void the warranty. Should I use distilled water in my Scentsy Diffuser? Is the Scentsy Diffuser protected by a warranty? Yes. Scentsy diffusers are warranted to be free from defects in material and workmanship for the lifetime of the product. Any diffuser found to be defective or damaged under normal use and care will be replaced with the same, or comparable, product at Scentsy’s discretion. To redeem the warranty, the consumer is responsible for paying shipping costs. The shipping and processing fee is $20 (USD)/$24 (CAD). For more details on the Scentsy Diffuser warranty, visit scentsydiffuser.com. Yes. Like all cold-mist diffusers, do not use the Scentsy Diffuser in an area where the mist contacts furniture, bedding, walls, curtains, ceilings or other objects. the fragrance character remains consistent throughout the fragrance experience. Second, the diffuser offers high, low and intermittent diffuser modes, giving you more control over the intensity and longevity of your fragrance experience. Third, the diffuser offers 16 different light modes, allowing you to change your lighting to complement your décor or mood. Fourth, you can customize your fragrance experience by adding more or less oil, or combining oils. The Scentsy Diffuser features 16 elegant light options to suit your mood. There are two light modes, white and color. The white mode features high, low and candle-flicker options. The color mode features a continuous cycle of 12 colors (fuchsia, red, orange, yellow, lime, green, aquamarine, white, azure, blue, lavender, and purple), or hold the light button for 1.5 seconds and set the diffuser on one color to complement your mood, décor or oil. The Scentsy Diffuser may also be used with no light. What are the dimensions of Scentsy Diffusers? Will essential oils clog the Scentsy Diffuser? No. the Scentsy Diffuser is designed to efficiently diffuse oils of all viscosities when used as directed. Never use undiluted oils in the Scentsy Diffuser. Always add clean, cold water to the fill line before adding oils, and clean your diffuser as directed to ensure trouble-free enjoyment. Does the Scentsy Diffuser need to be cleaned on a regular basis? We recommend cleaning your diffuser after eight hours of use for optimal performance. Use a cotton swab to gently clean the bottom of the water reservoir, then rinse the reservoir with clean water. Does the Scentsy Diffuser have timer options? Many factors affect the fragrance experience, such as the size of the room, humidity, air flow and the amount of oil used. The Scentsy Diffuser allows you to customize your fragrance experience for your personal preference and room size, so we encourage you to experiment. Will citrus oils corrode any components of the Scentsy diffuser?